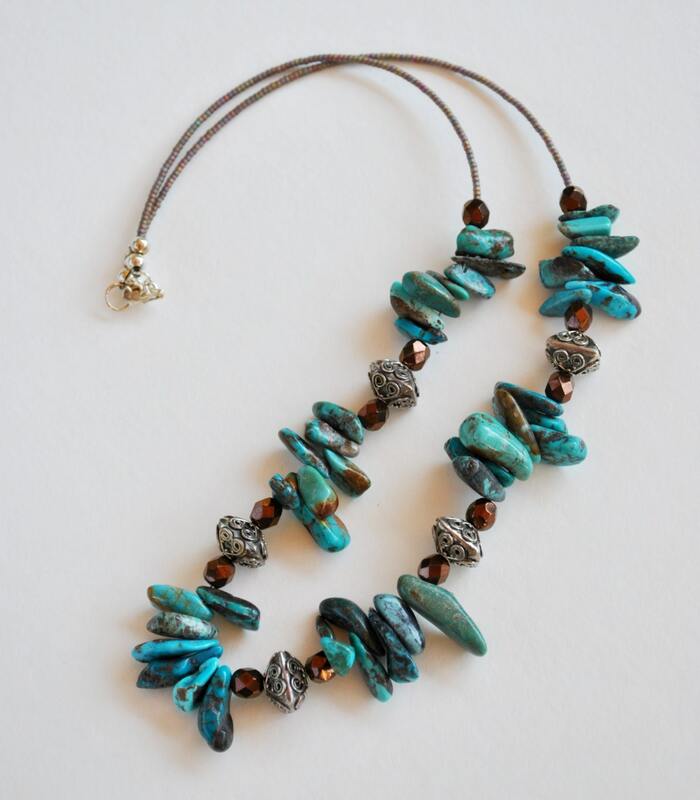 Genuine Turquoise Stone necklace created with large turquoise chips, bronze glass beads, and stunning, carved sterling silver beads. Dark silver tone Delica seed beads complete the necklace. Sterling silver lobster clasp. This necklace is a real beauty sure to bring many compliments! Turquoise comes in all shades of blue, to blue-green, with possible shading towards brown-veined greens. Found in veins sandwiched in between layers of mother rock, the turquoise can show some of the influence of the mother rock in its matrix or veining. The matrix colors range from blue to golden brown to black and sometimes with golden flecks (sometimes called "fools gold" or iron pirite) which is very desirable. The more blue, the higher the copper content. The more green, the higher the iron content. 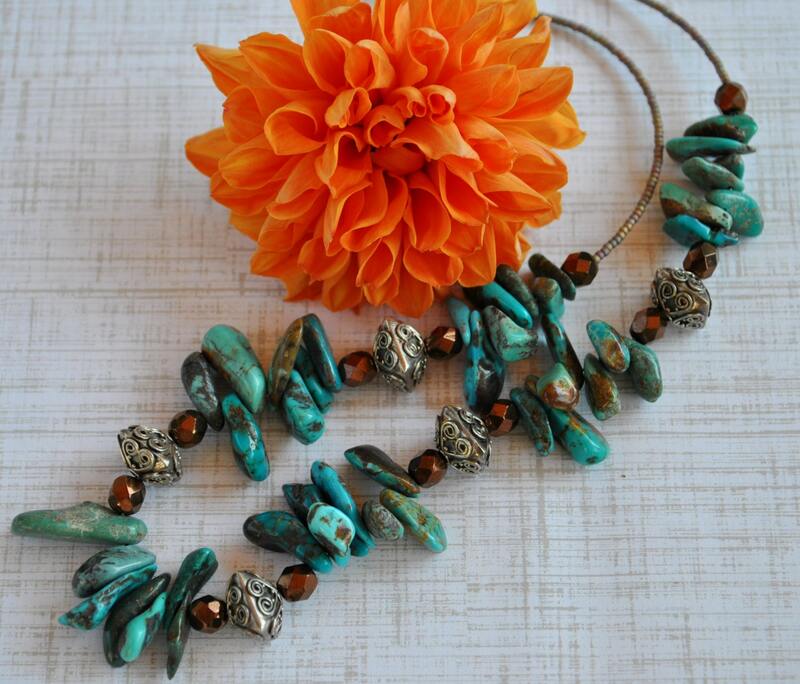 Turquoise is the birthstone of December and is thought to bring good fortune, strength and helps overcome illness. 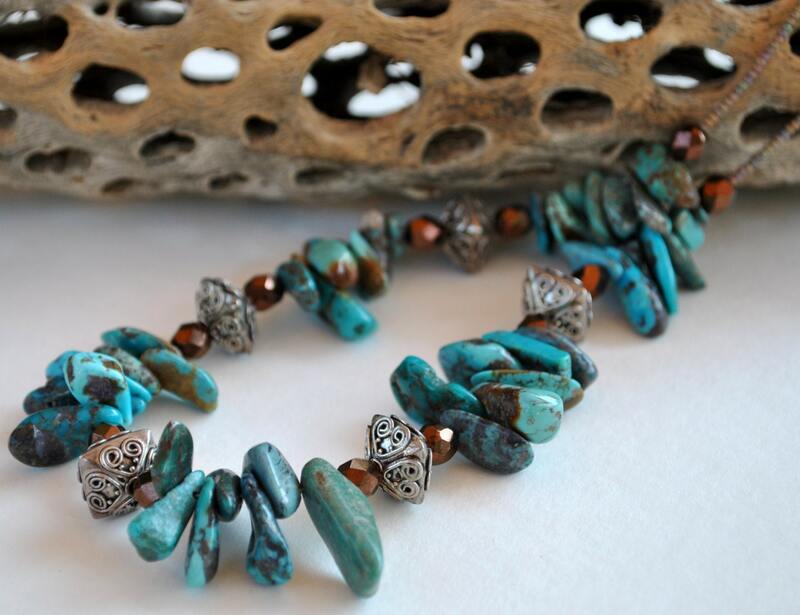 The Navajo consider turquoise to bring good fortune and appease the Wind Spirit. The Zuni believe blue turquoise is male and of the sky and green turquoise is female and of the earth. 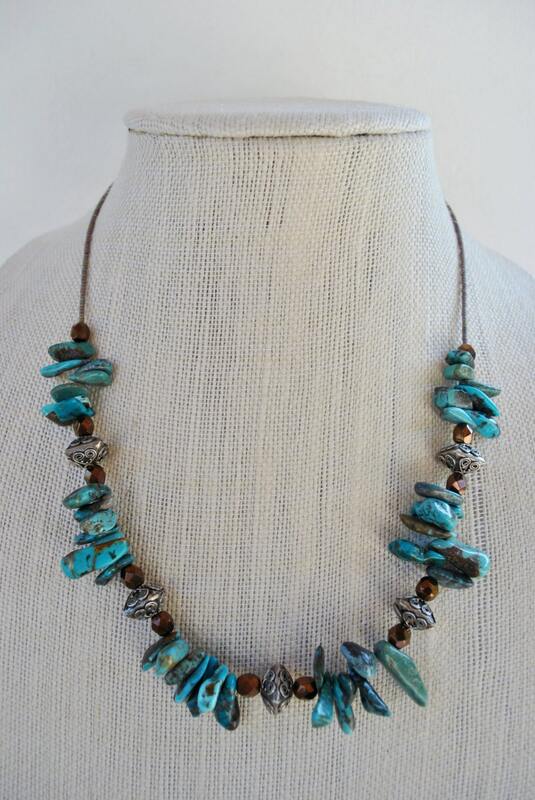 Hopi legend tells of the lizard who travels between the above and the below, excretes turquoise.